Helps prevent damage to the hood, windshield and fenders from stones and pesky bugs. 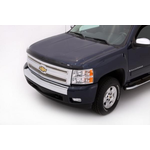 Traditional hood width design improves the look of your vehicle and protects your investment. Installs quickly with strong automotive grade tape or mechanical fasteners. Custom molded of rugged impact-modified smoke acrylic. 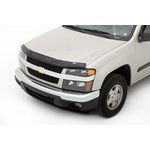 Custom fit applications are available for trucks, vans, SUVs and CUVs.